It's another beautiful Friday! Did you get to do any sewing on your snow day? We worked on a few samples around the shop! Our pre-cut sale is still going through Saturday, Feburary 7th. 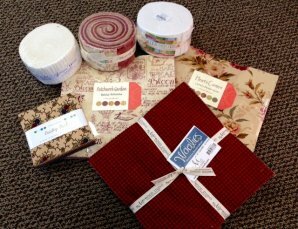 10% off charm packs, layer cakes, and jelly rolls in stock. 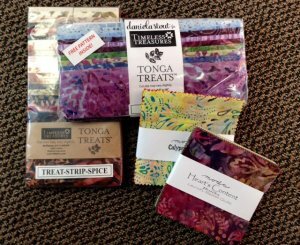 Choose from batiks, cottons, or flannels! 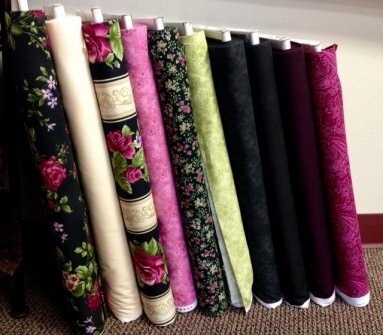 Two new fabric lines arrived this week, both from RJR fabrics! 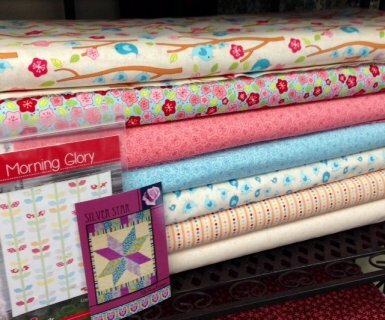 Harlow is a beautiful floral and paisley line in warm, rich colors, that are sure to make a beautiful quilt! Lovebirds, also arrived featuring birds and flowers in beautiful creams, pinks, and blues! Woolie ladies, don't forget next Saturday, February 14th is woolie day starting at 10 am! Meet in the training room on the 3rd floor! We have many new Valentine's and spring patterns to show you! Just a reminder BOM's are ready for pick-up! 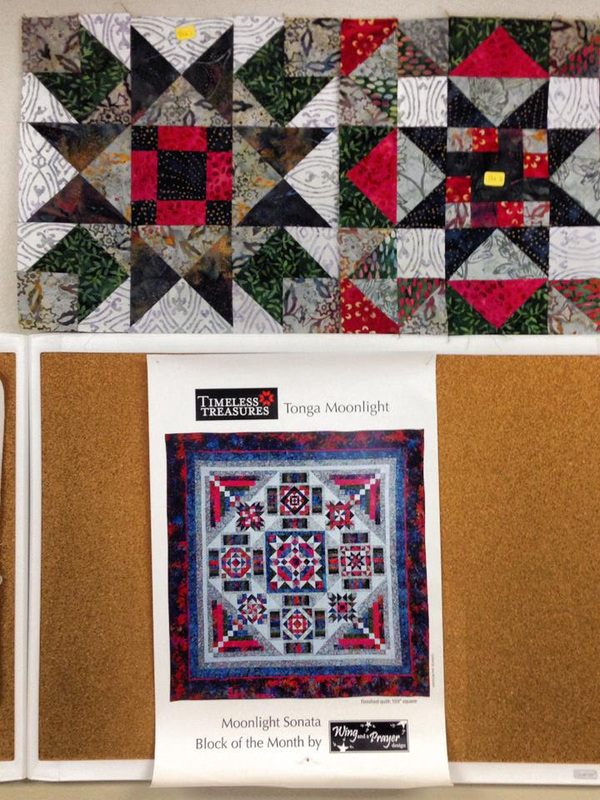 Moonlight Sonata will be ready for pick-up starting February 15th. Time to return to my Whooterville block! Be sure to watch for our newsletter next week! Check us out on Facebook!